Of the books this reviewer has read and reviewed, Mary Lederleitner’s is unique in that it does not present an argument for equality of men and women in all levels of Christian ministry and mission. In accepting the invitation to serve and lead, the author proposes there is no ranking or hierarchy based on level of achievement or position. As Kirk Franklin, executive director of Wycliffe Global, wrote in the preface of the book, Dr. Lederleitner bypasses the polarization of God’s people over the “leadership gifting and calling” of women in Christian ministry. Lederleitner does just that by describing the leadership exerted by women from all over the globe, including herself. 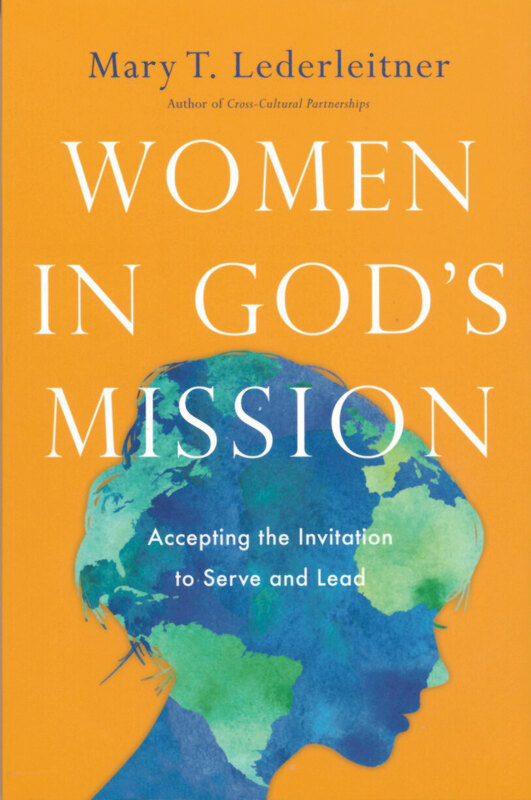 Women in God’s Mission, from cover to cover, is a descriptive narrative which very closely follows Lederleitner’s own life-long experience in missionary leadership. From 1997 to 2017, Mary Lederleitner served with Wycliffe and traveled extensively around the world. Her narrative throughout the two hundred fifteen pages reflects her travels and experiences on mission fields and her conversations with pastors, missionaries, and administrators of mission boards. From 2009 to 2017, she served as a consultant on the executive board of the Wycliffe Global Alliance. Dr. Lederleitner is a Billy Graham Evangelism fellow and serves on the boards of OM Global and Catalyst Services. Lederleitner also shares the thoughts and stories of women born and reared in approximately thirty countries from around the world. They are presently “serving and leading in many types of ministry,” which Lederleitner describes as “influencing others towards God’s purpose in the world.” She reports that the phrase most frequently used by many women from around the world to describe themselves with respect to the service they render is that of “servant leader,” hence the sub-title that Mary Lederleitner gives her book. Her servant leader definition is distinct from the formal theory formulated by Robert Greenleaf in that the women identify themselves with Jesus’ statement found in Matthew 20:20-28 regarding servanthood. Part Three of Women in God’s Mission, which spans from chapter 8 through 10, addresses “realities of gender discrimination.” Lederleitner describes the different strategies Christian women use when faced with opposition or criticism to remain resilient and persistent in continuing in the areas to which God has called them. The author takes a positive approach, focusing on the strategies utilized by women from around the globe to become effective missionaries, ministers, administrators, and other leadership positions both within and without their respective countries as in global initiatives. In Part Four, Lederleitner discusses what women need to do their best work and excel as effective missionaries, and leaders within the Christian global mission be it local, regional, or international in scope. This reviewer is attracted to the author’s global view and the light she sheds on the role of women across different cultures in spreading the good news of the Gospel of Christ Jesus. By shifting the paradigm around the discussion over ministry roles and hierarchy, Women in God’s Mission “squashed” the common quarrel over whether women should be pastors, administrators, or managers. Dr. Lederleitner writes, “My desire is not to argue for one theological position over another. I have chosen this approach because I deeply value the contribution of women across the various theological and cultural spectrums. As I have followed in mission I have come to know women from many different nations, cultures, denominations and churches…In each context there are different beliefs about what women can and cannot do in ministry, yet regardless of differing gender restrictions they always find way to reach out with the love of Christ…I genuinely marvel at the beauty of God’s work through women who faithfully accept his invitation to serve and lead.” (10-11). For this reviewer, Mary Lederleitner’s book is refreshing, inspiring, informative and encouraging, especially to the young women aspiring to be Christian workers, teachers, pastors, missionaries, or to other areas of Christian leadership. This book should be essential reading for anyone considering entering the Christian ministry whether within one’s residence or overseas.